Washer Maytag Neptune MAH3000AWW - started making noise and then stopped working at all after a week - Washer Maytag Neptune Repair in Saratoga, CA. 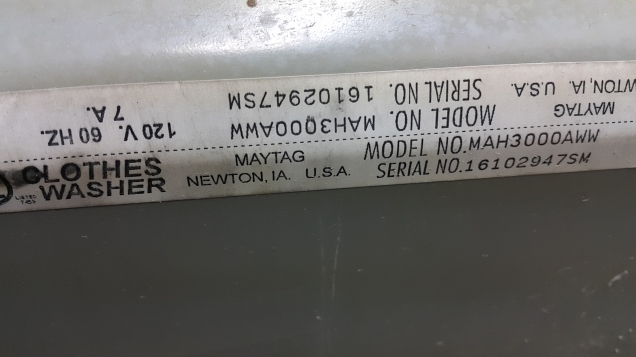 An old Maytag Neptune MAH3000AWW washer started making loud noise. To figure out where the problem is coming from, our technician removed the belt and turned on the washer - the noise was coming from the motor. 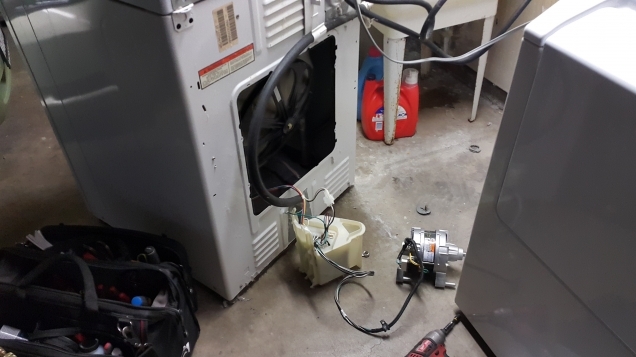 After the customer found out that the motor had to be replaced and that it was quite an expensive job since just the motor would cost her around $200, she got really upset because her washer had been working for a long time with no issues and she was used to it. 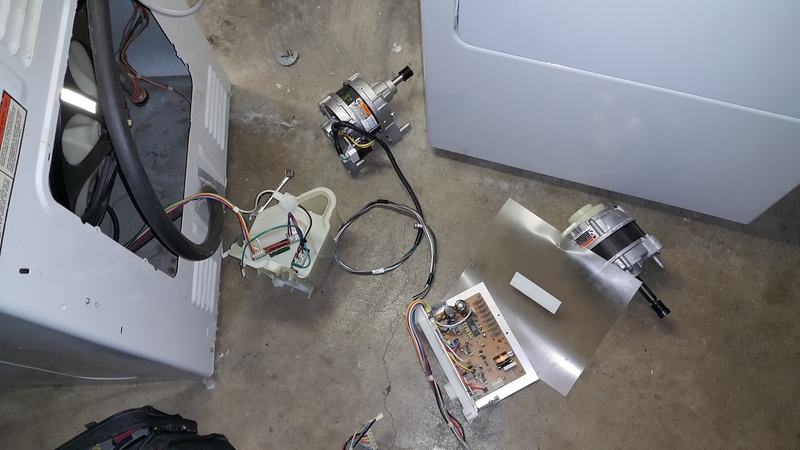 Our tech suggested to simply buy a new washer if the motor stops running at all. The customer seemed to agree that it was the most reasonable option, and simply paid the diagnostic fee. After about a week, the customer contacted Sunny Appliance Repair again saying that the washer stopped in spin cycle, so she wanted to go ahead with the repair and get the motor replaced on her favorite Washer Maytag Neptune MAH3000AWW. 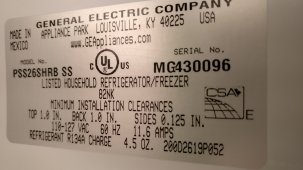 That same day the tech found the Maytag/Neptune Clothes Washer / Washing Machine Motor 12002039, which comes with the Motor Control Unit. 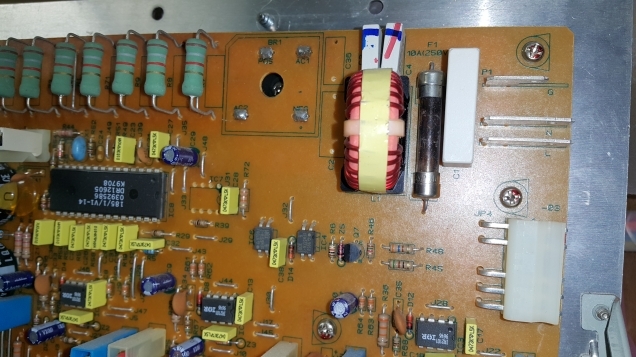 When the tech got there, he first made sure that the old motor has indeed failed completely - it turned out that the fuse has burned down probably because of overloading. Then the tech installed the new motor as well as replaced the control unit since they came together in the kit. After this heart transplant (a.k.a. motor replacement), the Maytag Neptune MAH3000AWW washer was back to working smoothly without making strange noises. 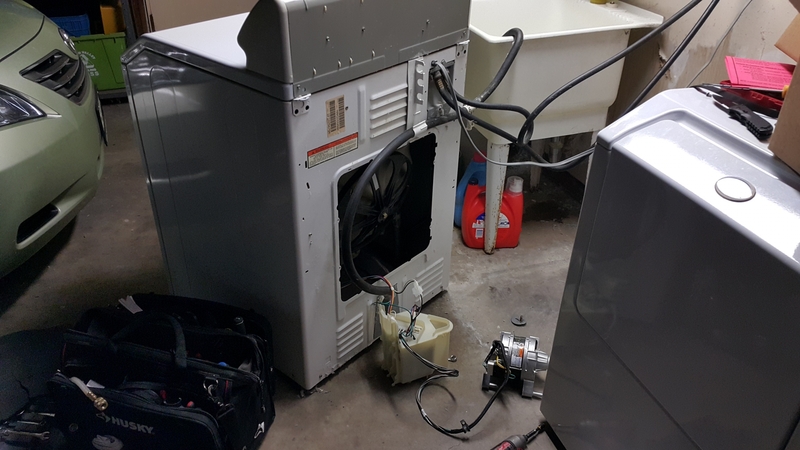 The customer was happy that our tech was able to bring her old appliance back to life.